Why Shopee Taiwan (🦐虾皮) is winning? It is quite an amazing feat for Shopee to grab market share in a relatively matured market like Taiwan, considering most e-commerce insiders would assume the Taiwan market is already "done" and owned by just a few big boys like PChome, Momo, Yahoo etc. Shopee currently operates in all six Southeast Asia countries which Lazada operates in, with an additional market - Taiwan, which is probably one of their most successful markets now. Shopee is also known as 🦐虾皮 in Taiwan, which sounds like 'shrimp skin' in Chinese. Its mother company, SEA Limited (formerly Garena Interactive Holding Limited) has just been listed on NYSE. It is quite an amazing feat for Shopee to grab market share in a relatively matured market like Taiwan, considering most e-commerce insiders would assume the Taiwan market is already 'done' and owned by just a few big boys like PChome, Momo, Yahoo etc. This is a good lesson for all of us that, conventional wisdom, is not always right. Let's take a quick look at some of the Shopee Taiwan's updated statistics. So, what makes Shopee Taiwan tick? ZERO commission fee, ZERO payment gateway fee, and subsidized shipping. 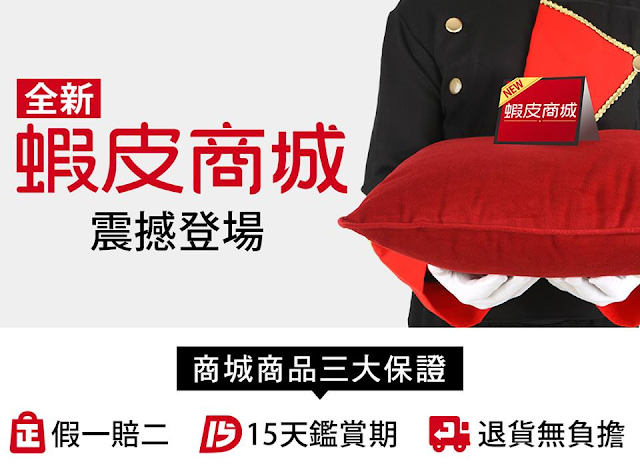 Shopee Taiwan partners with FamilyMart, 7-Eleven to offer free shipping to nearest convenient stores (超商取貨免運費) if customers purchase more than TWD $99 (~ USD $3.3). Also, if you sell one product for $100, you get back $100, so it is FREE to sell products via Shopee. Practically, Shopee made zero revenue / profit on every transaction. It is only until recently Shopee Taiwan starts charging a fee on merchants. This move mirrors Alibaba's Taobao in the early days, during when they gave everything away for free in order to compete with eBay. Jack Ma was famously quoted that, "You can't beat FREE as you cannot be lower than FREE". Shopee goes even further, by subsidizing the payment gateway fee and also shipping fee! Therefore, it's not a surprise that SEA Ltd lost USD225 million ($225,000,000) in 2016. So how do you offer all these for FREE in order to capture market shares? Yes, you do need to raise a gigantic amount of capital! However, it is not all about money to be successful. You can't argue that everyone knows how to spend money, but not everyone knows how to spend big money to obtain big results. You can only probably spot such talents with big responsibilities in either Lazada or Shopee (e-commerce and SEA market wise). It is a must for technology-driven companies to establish a capable engineering team who is consistent, disciplined in shipping out new features and improvements. If you ask any active Shopee seller one year ago, most of them would have complained about Shopee's order processing. But if you ask them now, they will tell you Shopee has improved significantly, particularly in terms of ease-of-use in processing bulk orders. On top of that, users also love the killer features like chatting inside the app! Secondly, this is about API (Application Programming Interface). PChome Taiwan does not offer any platform API for merchants to integrate with their own shopping cart, multi-channel tools or ERP software. API is becoming more and more important nowadays as the industry trends are moving towards omni-channel selling, which means many merchants will sell at their own branded store, at their own app, at one or multiple marketplaces, at one or multiple physical shops! Marketplaces without an API strategy will risk losing out the chance of tightly integrating the merchants into their sales funnel. In contrast, Shopee is consistently improving on their API, so that 3rd party e-commerce solution providers like webShaper can synchronize stocks and orders with Shopee to ease the sellers' workload especially when they are selling at more than one channel. Take a closer look at Shopee again, they are a technology company just happen to run a mobile marketplace business! Taiwan is a relatively matured and established market well served by the big boys like PChome. Consumers are savvy shopping online in matured markets like Taiwan, but none of the incumbents focuses entirely on the mobile shopping experience. It is an uphill task for established companies like PChome to 'shift to mobile' as they carry too much legacies in their business model, system and processes. "If any startups are to 'kill' PChome, mobile is their best bet", as quoted by PChome CEO Jan Hung-Tze (詹宏志) back in 2014 when he was at Malaysia sharing his experiences on e-commerce. I guess they found one now in Shopee. Shopee has entered Taiwan market in 2015. 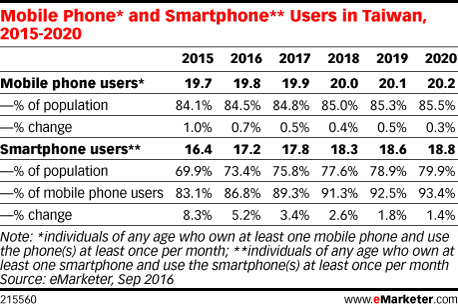 According to the eMarketer, the smartphone penetration rate for Taiwan was already at a high 83.1% during that year, and projected to exceed 90% by 2018. You can imagine there is a big opportunity in the market waiting to be filled, and Shopee seems to fill the gap now. 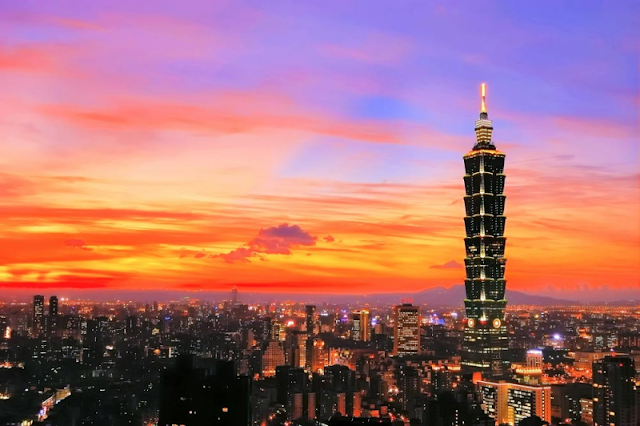 No, we were not referring to the Taipei 101 building. The '101' definition here is Shopee's 100% focus on mobile + mobile 1st thinking. No legacy coding, no processes baggage and no worry of money. Starting from day 1, it is all about mobile, Mobile and MOBILE! They concentrate all efforts on their mobile app in crafting the best mobile shopping and buying experience. When they started off earlier, they didn't even have a website for you to shop. 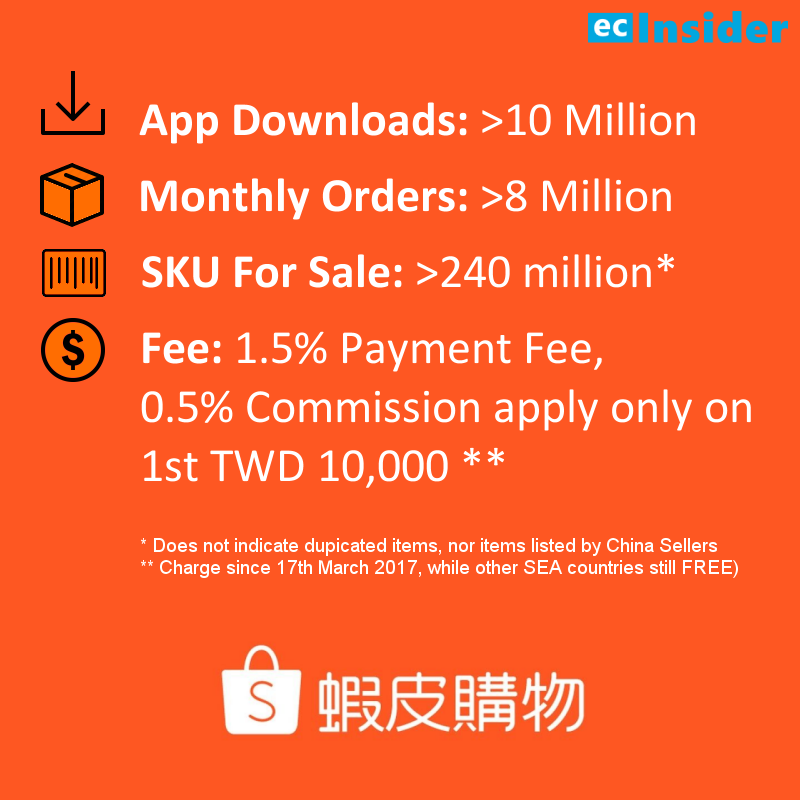 In Taiwan alone, Shopee mobile app has scored more than 10 million downloads to date. If you take a look at Taiwan C2C marketplace players like Ruten or the B2C players like PChome, a user can only be either the seller, or the buyer. It is rare for them to play both roles. None of the platforms offers easy switching between buyer and seller mode. However, Shopee makes it super easy for any users to sell (just snap a photo, upload, insert pricing, some descriptions, and you are done) or buy, everything can be done within just one mobile app. As a result, its usage and "stickiness" grow tremendously! Unknown to a lot of people, this relatively low-key and 'secretive' team consists of at least hundreds of people. The site is Shopee.cn, their job is to recruit and onboard China merchants to Shopee so that they can fill up the platform with more products and assortments to make it attractive to customers. 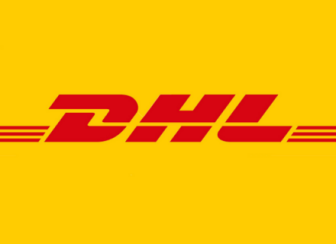 As mentioned in the API strategy earlier on, the initial goal was to serve as a tool by enabling China cross-border merchants to easily upload products to Shopee, and also to synchronize the orders back to their ERP for orders processing. This modus-operandi is pioneered by the Lazada team, with more than 40+ million SKUs available now in Lazada Malaysia. In general, SKUs count is important for online marketplace business. The more SKUs, the higher the GMV (Gross Merchandise Volume). Shopee focused on young students when they started, by actively promoting Shopee in universities, and capturing the demographic of sub 25-years-old who buy products at low prices or sell their excess to make some cash. This group of demographic grows up with Internet and Mobile, and they can't live without it. Using this early penetration strategy focusing on C2C, coupled with their savvy execution of user growth strategy, they drummed up their buyers base (and also new sellers base). Fast forward when you started to accumulate millions of buyers, you will become more and more attractive for brands and larger size merchants. This is when Shopee Mall (蝦皮商城) is launched in 2017, a platform dedicated for established brands and quality merchants. Buyers' trust is boosted with bigger brands on board, so does the Average Order Volume (AOV) in Shopee. This battle is just the beginning, and PChome is not sitting still. Interestingly, they are not fighting back via Ruten, but instead via http://seller.pcstore.com.tw (商店街個人賣場). Only time will tell who will dominate! 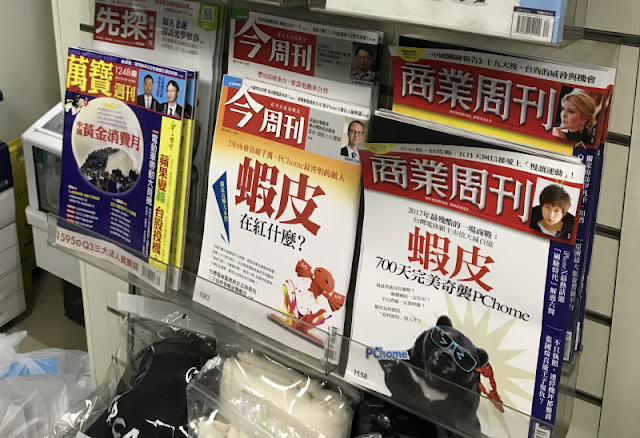 ecInsider: Why Shopee Taiwan (🦐虾皮) is winning?